Been staying at home lately. Being frugal. Not much news. The job is still a struggle. I’ve got used to most of my job duties, but it’s an overwhelming workload. Really wipes me out by the end of the day. Yes, I’m glad I have a job, don’t get me wrong, but I don’t want to stay at this forever. 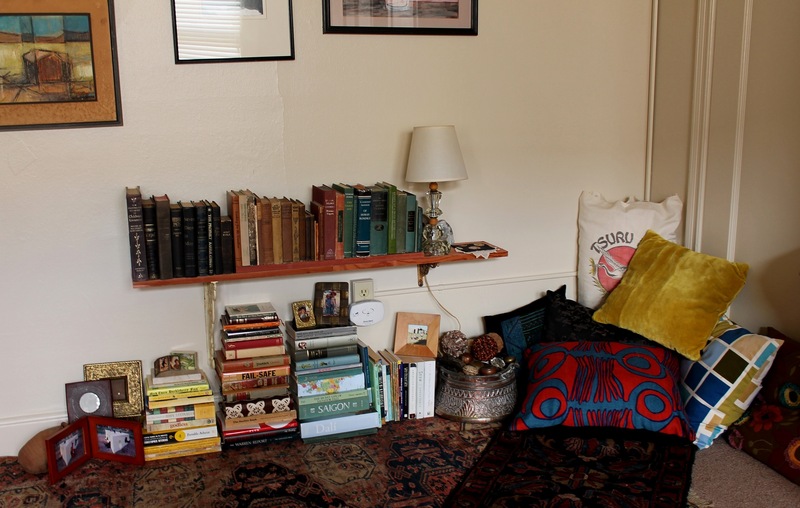 I’d been looking for a bookshelf but have decided against buying one….or a chair. With all the moving I’ve done over the years, I just don’t want to accumulate stuff. I’ll only have to deal with it later on when I move…..which I hope to do eventually. Anyway…..what I’m getting at here is….. I still like my home, wherever it may be, to be homey. 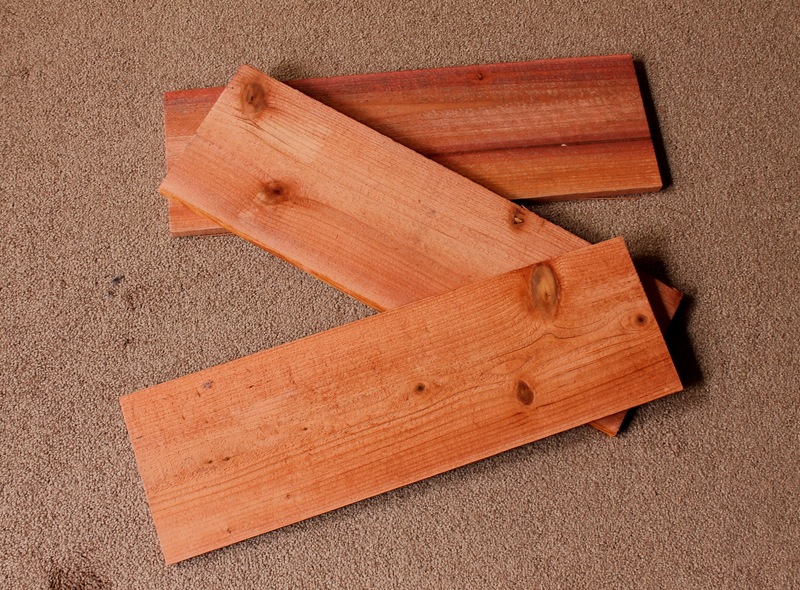 The other day I saw three perfectly good planks of redwood in the trash. What?!! I know, that’s what I said, too. So, of course I grabbed them out of the trash and started thinking what I could do with them and an idea came to me almost immediately. 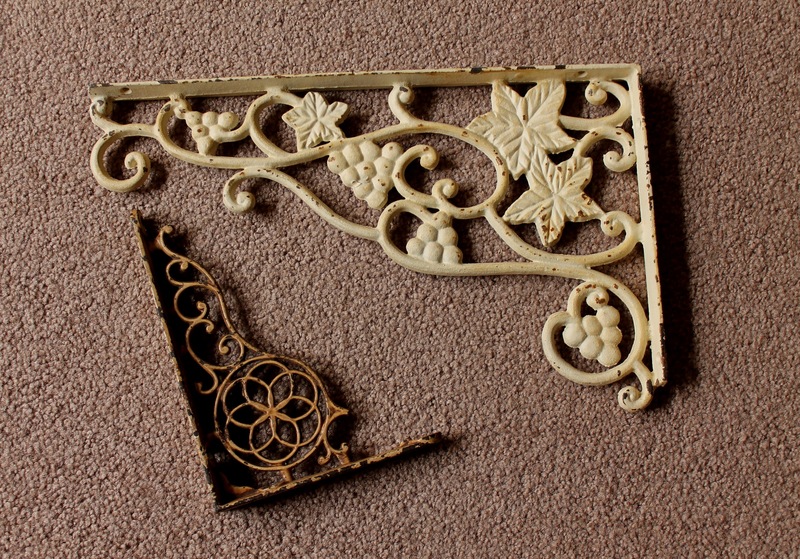 I’ve had these two really beautiful cast iron brackets for years and have always lugged them around with me. Can’t seem to part with them. 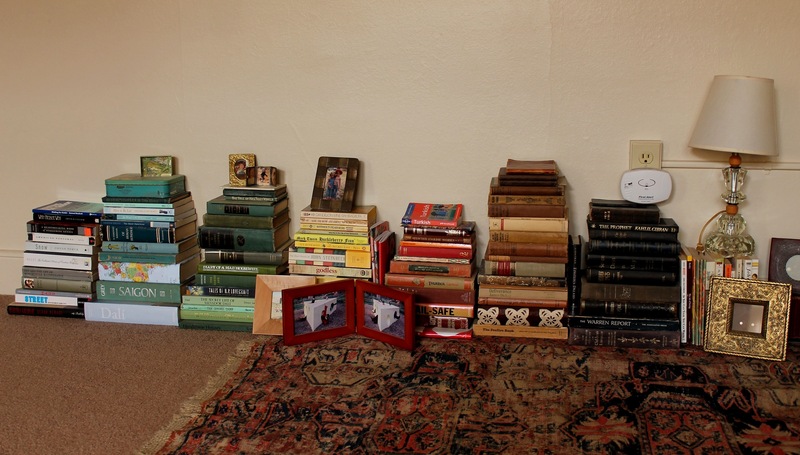 I thought that since I’ve decided not to buy a bookshelf, I could at least make a shelf for my books…. some of them, anyway. 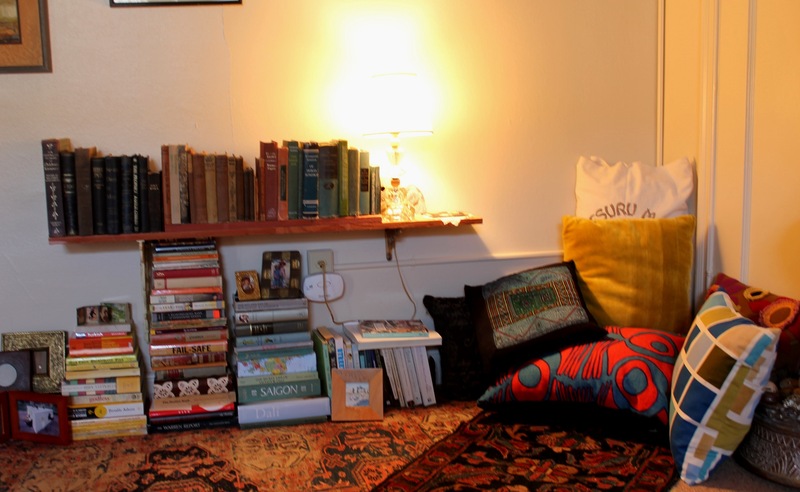 So, here are my books, piled up on the floor…..
….and here they are in my new cozy corner…..
I’ve got my oldest books and first editions on the shelf, at the end of which, you’ll notice, is a spot for my cuppa. Not the most color coordinated bunch of pillows, but, eh, they’re comfy. Speaking of decorating with found objects, I also found this great old (somewhat beaten up, but that gives it character) frame. It’s around 4 feet long by about 14 inches. I’ve been wanting to display some of the beautiful pieces of fabric I’d bought in Viet Nam and thought it would be nice to put them in the frame. But most of them didn’t fit nicely…. they just looked odd in it. So I took some cheesecloth which I stapled into the back of the frame and instead of putting the large pieces in it, I sewed this small piece to it. 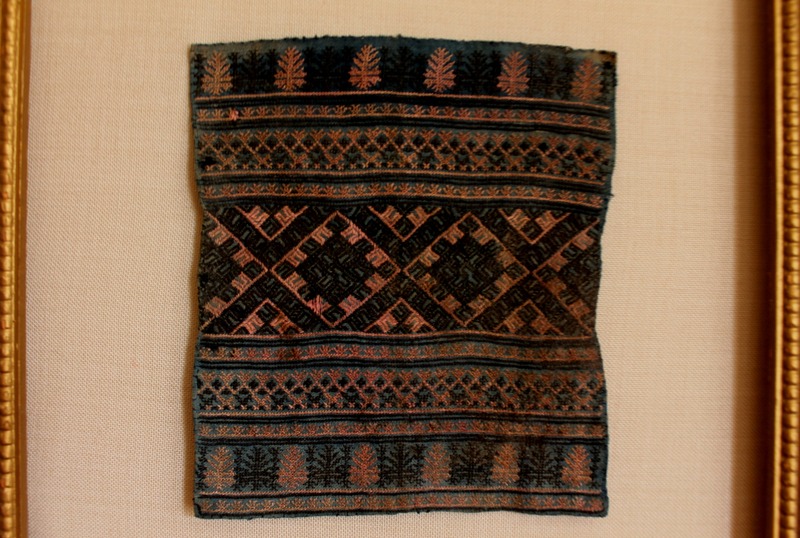 It’s only about 4″ square. I like how it looks. Isn’t it a gorgeous piece of fabric? It’s silk and the hand-stitching is incredibly tiny and detailed. I can’t imagine the hours of work put into it. Now that I’ve gone through my books, I’ve picked out a few I’ve been wanting to read, so if you’ll excuse me….. So the three pieces of wood are screwed or glued to each other? Trying to figure out how that’s stable. Okay, so I butted two pieces end to end then centered the third piece on top of the two. Then I screwed the top piece to the two bottom pieces at each end of the top piece. Then I turned the whole shebang over and screwed the two bottom pieces into the center of the underside of the top piece. That’s about as accurate a description as I can come up with!